For many first time buyers, it can seem that the dream of owning your own home is never going to be a reality. And when it does happen, those who buy in the city centre are having to pay crazy sums, for not much property or space. With the predictions of the average Scottish home’s cost rising by 20% by 2022*, now is the time to scope out areas which might have gone unnoticed by you in the past, but which can still offer the benefits of bigger cities for a lesser price. ESPC’s House Price Report** puts the average selling price in West Fife and Kinross at £182,600 – considerably lower than Edinburgh which stands at £267,451. Having these statistics looming over might feel intimidating, however, the Kinross Town Hall development of brand-new, modern apartments could be the answer you’re looking for. Kinross Town Hall, one of Kinross’ iconic landmarks which has stood empty for over a decade, has been given a new lease of life and young buyers should be looking to be a part of its revival. Situated on the High Street, the project combines the old with the new and exhibits a classical mix of Georgian, Victorian and Edwardian architecture alongside contemporary interiors. The exceptional character of the building combined with its desirable location lends itself to a distinct form of urban living. All of this, only 25 miles away from Edinburgh and 45 miles away from Glasgow, at prices starting at £180,000. 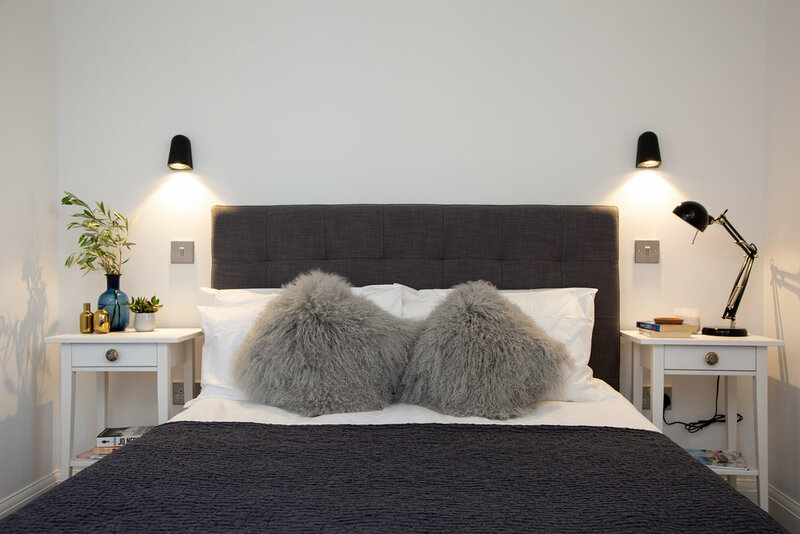 Individually designed to create spacious rooms, the properties benefit from open areas that are bathed in natural light, while underfloor heating and Google Nest smart boilers help to create energy-efficient living spaces all year round. Built with some of the best quality products on the market including Geberit, Bosch, Hans Grohe and Google Nest, each apartment is also equipped with a high-spec kitchen that has been individually studio designed and comes with a 25-year guarantee. The quality of life in Perth and Kinross continues to impress; from the hub of Perth, Scotland’s newest city, to the backdrop of some of Scotland’s most spectacular scenery including Loch Leven on the doorstep. Are you ready to elevate your life to the next level? If you are a first-time buyer, we have Help To Buy available for all one-bedroom apartments.